Blue cheeses, in their many forms, have one thing in common: mould, glorious mould. A vein of blue mould (Penicillium) is added to the cheese during the making process, resulting in delicious strong cheese varieties, such as tangy Roquefort, crumbly Stilton or creamy Cambozola. This collection of recipes offers many ways to include blue cheeses in your cooking. To introduce children to the strong flavours of blue cheese, try Adam Byatt’s tasty butternut squash, pear and Gorgonzola flatbread tart recipe. For classic British fair, Paul Foster’s pork pie with Stilton salad recipe ticks all the boxes, while Marcello Tully pushes the boat out with his beef fillet and blue cheese mousse recipe. 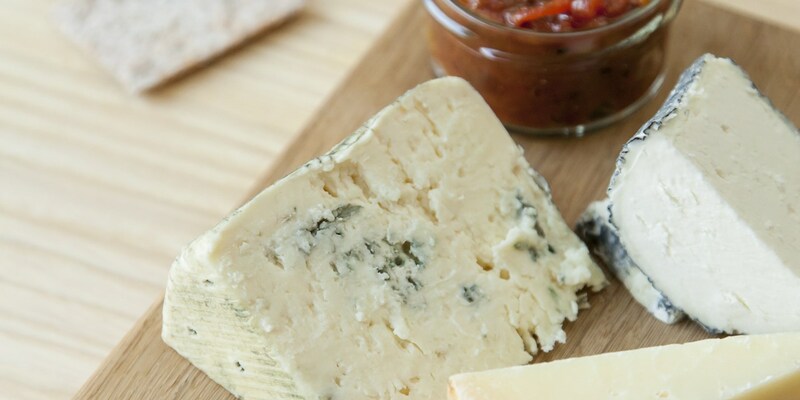 Blue cheese is not just for savoury dishes - it works equally well with certain sweet pairings. For example, Paul A. Young takes on the classic Christmas combination of Port and Stilton in his truffle recipe – a truly unique offering.